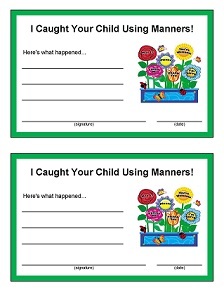 Free printable certificates and awards are a great way to show children that you notice and appreciate their accomplishments. Kids love getting awards and positive reinforcement. A simple "great job" at the time and an award later will go a long way towards helping the child to repeat good behavior. Parents also love having their child receive one of the following awards. This helps them to realize that their child is doing well. Plus, it makes a great conversation starter and bonding experience between parent and child. 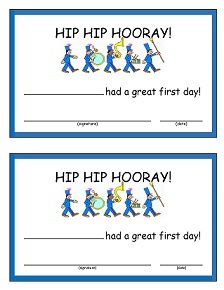 Printable awards that come two-to-a-page make it easier to "pass out the praise". *I recommend printing the awards on card-stock paper for a heavier feel. Make sure the ink is completely dry before filling them out. Simply click on the printable of your choice to open the file in PDF format for immediate printing. The first day in a new daycare can be made more special with an award. Sometimes the first day is tough on a new child and being rewarded for doing well makes it even better. This is a full page award. You'll need to set your printer to landscape. Similar to the award above, but two awards on each page. 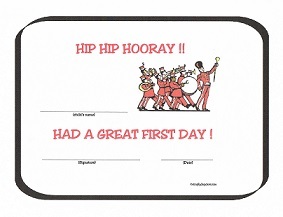 Print out a few and keep them in your file box so you are prepared when you have new kids. The following awards are great for the kids but I honestly think the parents love them more. It helps them to see that you are looking for and seeing good behavior in their children. Two to a page. Room to write exactly what you saw. 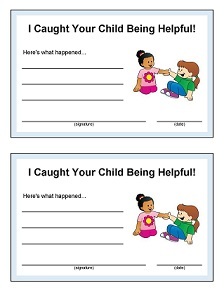 This award can be used anytime you see a child willingly sharing. Make sure the child understands exactly why they are receiving the award. 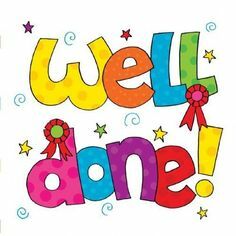 This award goes to the child who is helpful to another child, who straightens up the playroom without being asked to, volunteers to help you pass out the snacks, etc. Being helpful is a quality you want to encourage. Manners should be commended, and here's the award for that. Use for any type of politeness... saying please and thank you, patiently waiting their turn. etc. Children do tend to repeat the things they are rewarded for.